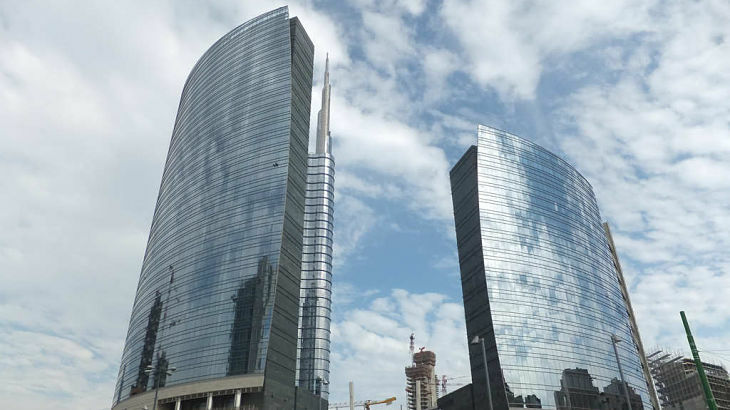 Italian markets and country-specific exchange traded funds are climbing as bank stocks rallied on Unicredit’s attempts to strengthen its balance sheets. 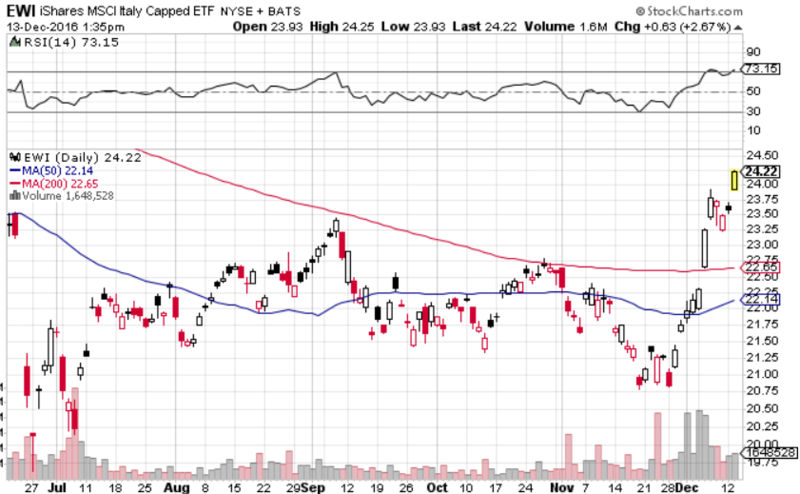 On Tuesday, the iShares MSCI Italy Capped ETF (NYSEArca: EWI) gained 2.7%. Additionally, those who are wary of further weakness in the euro currency can take a look at euro-currency-hedged ETF options, including the iShares Currency Hedged MSCI Italy ETF (NYSEArca: HEWI) and Deutsche X-trackers MSCI Italy Hedged Equity ETF (NYSEArca: DBIT). On Tuesday, HEWI rose 2.5% and DBIT was 2.6% higher. Supporting the advance in Italian stocks on Tuesday, Italy’s banking index was aided by a 15.9% surge in UniCredit SpA after it revealed a plan to raise 13 billion euros, or $13.8 billion, to shore up its balance sheet and distance itself form Italy’s broader banking crisis, reports Atul Prakash for Reuters.